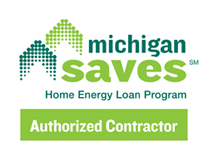 Michigan Saves: Michigan Saves is an innovative program to help all types of Michigan energy consumers—businesses, institutions, and residents afford energy efficiency and renewable energy upgrades. D.T.E. Energy: Energy and energy technology provider for residential and commercial electric and natural gas. Energy Star : Information on available tax credits for purchasing energy efficient appliances or renewable energy systems for your home. Energy Hog: Saving energy saves money.